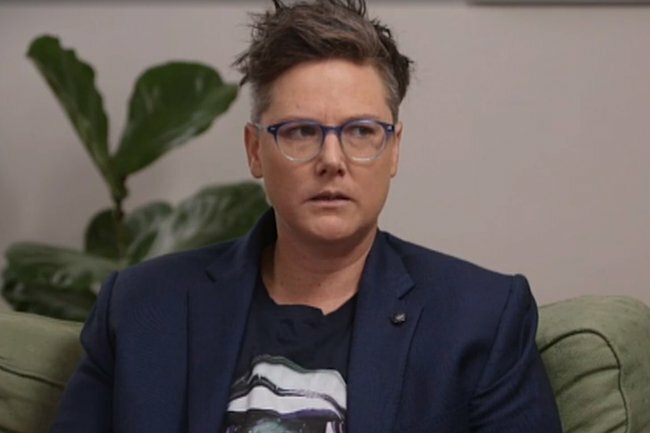 Hannah Gadsby opens up about her autism diagnosis on The Project. "There was a sort of grief and confusion": Hannah Gadsby on being diagnosed with autism. Last year, during her critically acclaimed Netflix stand-up special Nanette, comedian Hannah Gadbsy announced that she was quitting comedy. Now, a year on from her announcement, the Tasmanian-born comic is back on stage and yes, she’s returned to stand-up. Returning to Australian stages with her new show Douglas, which premiered at the Melbourne International Comedy Festival last week, the 41-year-old has used her new show to open up about being diagnosed with autism. Now, speaking to Pete Helliar on The Project, Gadsby has shared what it was like to finally receive a diagnosis after years of confusion. “It was quite the process and evolution of thought for me. It didn’t make sense to me because I didn’t really know that women and girls could have autism,” Gadbsy explained. But soon after being diagnosed, Gadsby began to recognise that some of the signs had been there all along. “One of the biggest ones for me was I couldn’t reconcile my, you know, there’s a naivety to me and then there’s also like I’m really intelligent you know, in some ways. I struggle to leave proof all the time, but I know I’m intelligent,” she said. Yesterday, Gadsby was announced as an official ambassador for Yellow Ladbugs, an Australian organisation which aims to improve support for women and girls with autism. 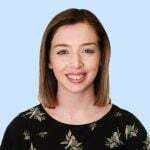 “I think a lot of the struggle that women have on the spectrum is a lot of the struggle that women that are not on the spectrum have and that is that we have a very narrow definition of what it means to be a woman,” Gadsby explained. Back in 2018, Gadsby explained how her autism diagnosis initially made her believe that stand-up comedy was no longer right for her. “It’s a lot of noise and moving around,” she told The Guardian. She also explained that over the years, being social has exhausted her – but she’s accepted that she doesn’t have to act how society expects her to. “Having the framework of autism boils down to not looking out to the world to see how I should exist, but knowing I don’t actually have to be social, knowing that it exhausts me and that I will get confused and look like an idiot,” she said. How a scathing, silent cafe interaction inspired the name of Hannah Gadsby’s ‘Nanette’. When Hannah Gadsby showed herself to the world, her mum’s eyes were opened for the first time.